If you want good, long lasting hair even after you’ve got it coloured, you ought to prepare for the damage many months in advance. This includes ensuring that your hair is well-nourished and hydrated. Step up your oiling and hair mask game at least 2 months before you plan on dyeing your hair. Also, get regular trims and avoid heating tools. A good quality hair dye which is sulphur free will go a long way in maintaining the health of your hair. If you are lifting the color with bleach, ensure you get the right developer for your hair color. Don’t wash your hair for at least 48 hours. This is a mandatory step for anyone wishing their hair-color to last more than a week. Ideally, wait as long as you can. Most shampoo and conditioner bottles will state if they are designed for color treated hair. Not just the first time, but all the time. Hot water dries out hair and skin, leaving it dull. Cold water will not only help you keep your color but also helps you keep your hair’s health and shine. Your hair shaft is delicate, and should only be dyed once a month or so. Any sooner than that and it will be prone to breaking, splitting, tangles and straw-like texture. Hope these tips help you when you dye your hair! Media coverage by HAIR magazine. Now that 2015 is almost at it’s end, 2016 is what we should be talking about! We are starting off this year of trends with the most essential category – BEAUTY. Here are our top predictions for the 2016 Make-Up and Hair trends. Cobalt, Teal, Cyan or Navy – 2016 is all about highlighting your eyes with all shades and hues of Blue! Be it your usual Electric Blue Eye Pencil or a daring Cerulean Eye Shadow, this coming season you need to go all out! The Classic Crimson Pout or a splash of that Rich Burgundy on your Lips is all you need to plan for! Bold, statement Lips is what 2016 is going to be about! A Crisp, Edgy Fishtail or a Messy, Casual French Plat – it’s time to get your Hair-Game On! Uncluttered and Easy to Maintain BRAIDS, in all shapes and sizes, is what the fashion police called for! Ditch those heavy-duty Make-Up looks and flaunt your Natural Glowing skin this upcoming season! A slight touch of Rose on the Cheeks and never-ending Extra-Long Eyelashes – is our Mantra for 2016! French Manicures are synonymous with Dainty, Pretty Hands. But no more of that, this coming season we will see Fierce, Unexpected French NailTips like never before! Tis’ the season for Experimentation! It’s time to bring out the big guns! Combed, Bushy Eye-Brows rule over the runways this season! It’s all about that Unkept, Natural Look in 2016! So Ladies, go and try these trends before they catch up on full swing and be the trendsetter among your bunch! Lets welcome 2016 in Style! There’s no doubt that the onset of cooler temperatures and the fewer hours of sunlight bring with them a new set of hair demands. Winters make your scalp go dry and itchy, and with little moisture in the air, the scalp will start getting flaky and extra dry, leading to dandruff. So how to take care of hair in winter you ask?Heat or warm up your hair oil and mix it with some lemon juice squeezed out of fresh lemon. There’s too much static happening around you from pullovers to sweaters to scarfs. While I can’t give you the perfect solution these are a few tips that help me. When combing your hair, use a vented hair brush that has a combination of plastic and boar bristles. Wash your hair only with lukewarm water, not hot water, as the latter will further dry out your scalp. Apply a leave-in conditioner to keep hair smooth. Though we find this task burdensome but there’s no denying it – this is the healthiest thing for your hair. While giving yourself a hair oil massage, heat the oil slightly for best results! Also if you can get your hands on olive oil it would certainly do you a great deal. Winters are especially difficult for letting your hair get completely dry after a wash, but if you think it’s okay to have a bit of wet hair and still tie it up, think again! Hair that is not dried out properly can lead to a host of problems for your hair and scalp, especially so in the winters. So whether you take those extra minutes to use the hair dryer or whether you give yourself some extra time that allows you time to air-dry your hair naturally, it’s imperative you make sure it happens. Follow these simple tips and say good bye to troublesome hair this winter. Don’t we all love taking a dip into the swimming pool while sipping on some juices and enjoying good poolside music ? While we take a lot of precautions for our skin before entering the pool do we also take care of our hair? Chlorine which is added to the pool water is basically for disinfecting the water bacteria. But this also harms our hair. So let me help you out with a quick homemade remedy to help revive your hair after a good time at the pool. All you need for this is.. Mix all the ingredients in a bowl and add the mask to your hair, massaging it into the roots. Let the mask be on your hair for 15-20 minutes before you wash your hair. Let your hair dry naturally. Repeat the process twice a week and let your hair shine ! Sudden hair loss can be worrying to both men and women. Hormonal imbalances and genetics play their role, there are many other factors which have a negative effect on hair quality and growth. However promising cosmetics claim to be today. It is key we supply our mane with vital nutrients to keep them strong from the inside. Want healthy shiny hair that’s full of strength and bounce? We have the list of of 7 superfoods just for you. Salmon a fatty fish is rich with omega-3 fatty acids. As your body itself can’t generate these acids, such supplements help you keep your hair shiny and healthy. 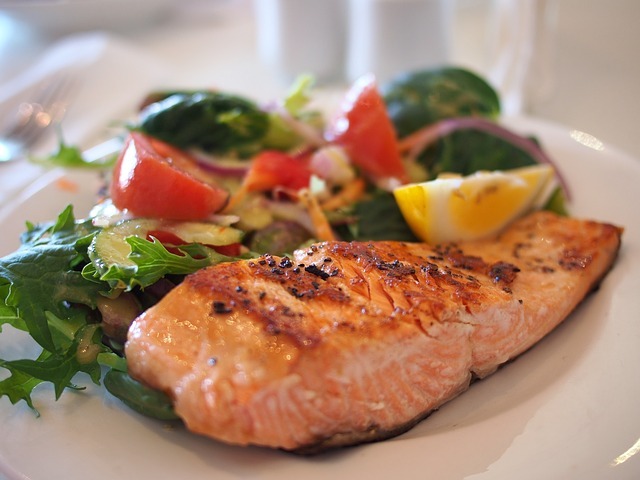 Salmon is also a good source of vitamin B and B12, preventing excessive hair loss. With iron and zinc helping hair follicles to grow, you can depend on salmon to help you flaunt long and shiny hair. Cinnamon is considered the best remedy for treating scalp infections. This follicle stimulator is terrific for scavenging free radicals and reducing UV damage done to your hair. As it helps in stimulating the blood flow to hair follicles, you will easily notice change in hair growth and quality. 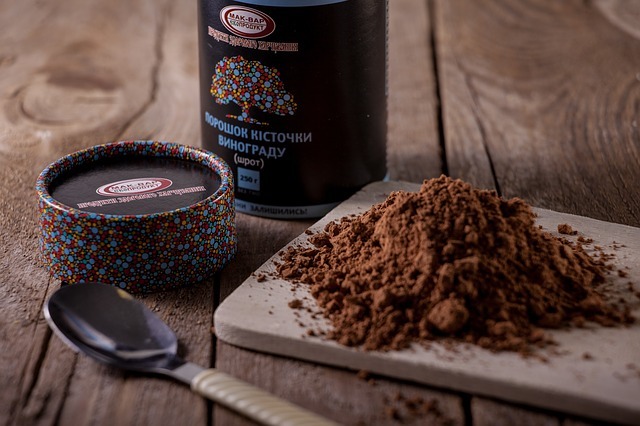 It can be consumed with honey and other hot drinks like soups and warm water. Bet you didn’t know this. 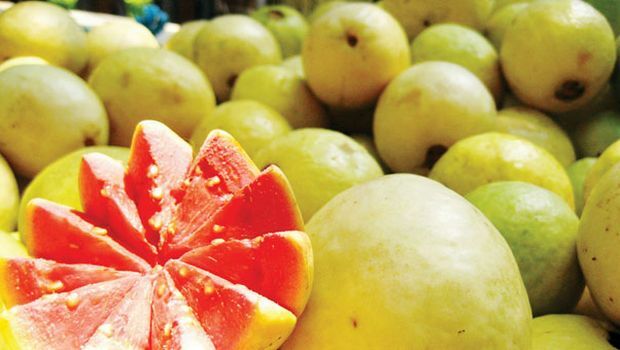 A single cup of guava has 377 mg of Vitamin C, which is more than 4 times the minimum requirement for your body per day? It is full of with antibacterial, antioxidants and anti-inflammatory agents, which offer an array of health benefits. This awesome fruit provides nutrition for hair with caotenoids, flavonoids and tannins that are extremely effective for hair growth. It also infuses vitamin B3 and B6 which maintains a good blood flow throughout your scalp. 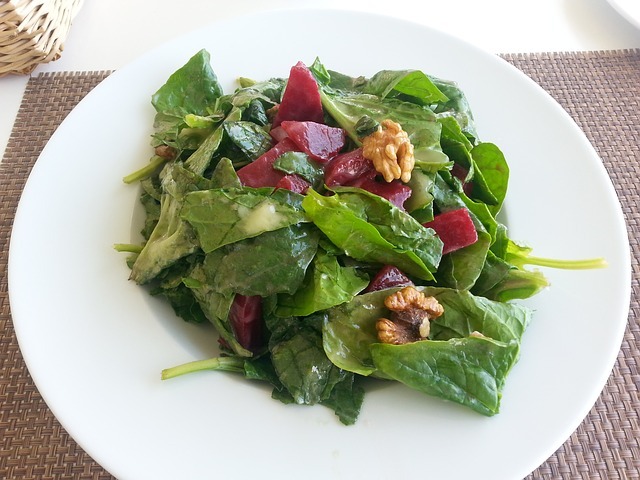 The Popeye leaf is loaded with lutein, which keeps hair healthy and shiny. Being a good source of vitamin B, C and E, calcium, potassium and other such nutrients, you can trade your lettuce for spinach for a healthier scalp and mane. It will keep your hair strands moisturized so they don’t get brittle. Its major ingredient, iron, effectively helps in carrying oxygen to hair follicles. This is essential for long, strong strands and hair growth. Start your day with a healthy blueberry breakfast and let your hair be nourished to its maximum. 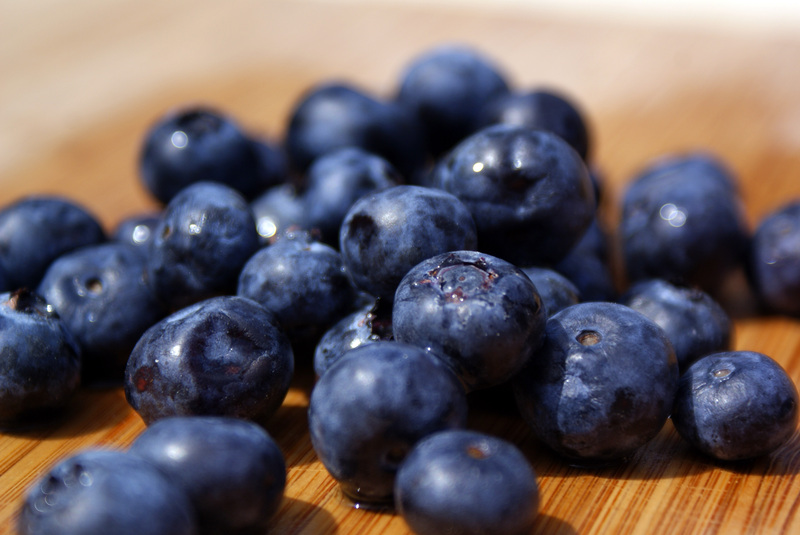 The yummy blueberries are rich in Vitamin B-complex, really good for increasing hair growth. It actually improves oxygenation and circulation of blood in your body, especially the scalp. Moreover, the antioxidants in blueberries prevent the growth of grey hair and also control cholesterol levels that affect hair growth drastically. Do you have dry hair that has lost its shine? 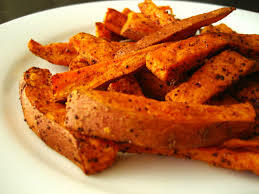 Sweet potato will work really well for your hair. With an abundance of nutrients, it provides more than enough nourishment to your thirsty hair strands. Mash them, bake them or roast them; their richness in vitamin B6, C and D will play an important role in nourishing both your hair and skin. Its red colour indicates that it is high in carotenoids that fight against the greying of hair. Last but not the least, oyster provides proteins and minerals that are necessary for tissue repair, with damage caused by lack of care and hair being exposed to pollution and dirt. They reduce the amount of cortisol, which makes our hair thin and brittle. 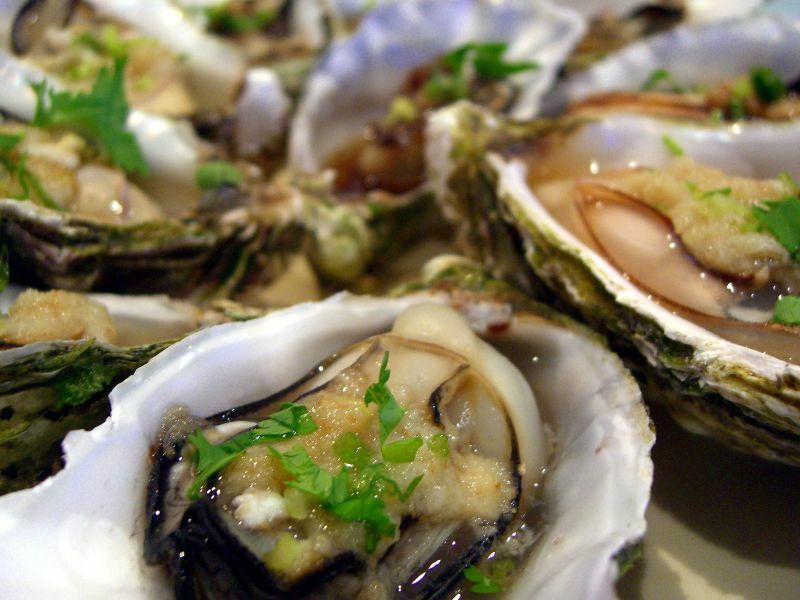 As an aphrodisiac, oysters are packed with zinc which helps increasing the hair growth. What are the superfoods you found benefits with? Share with us in the comments below.